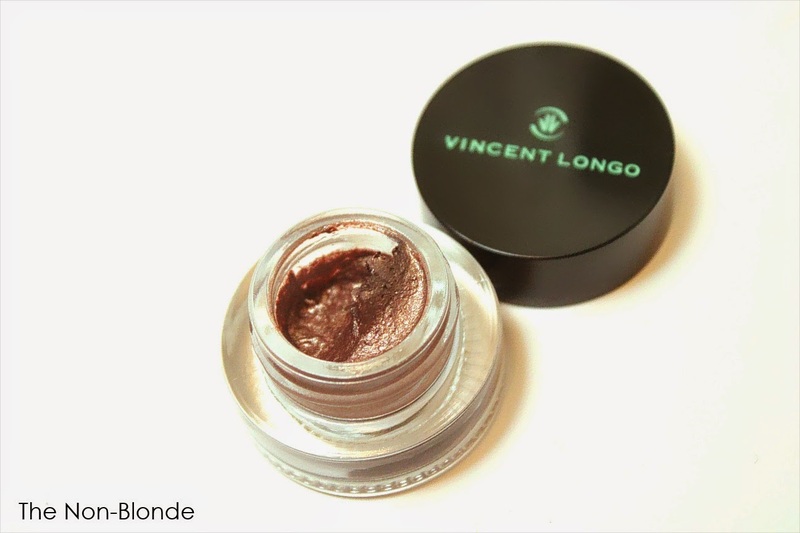 Here's my secret weapon these days: Vincent Longo Creme Gel Liner in Flamenco*. While Flamenco, a medium taupe, is not a classic eyeliner color, it works beautifully to lighten a heavy/dark eye makeup look (see an example using a gold eyeliner in Lisa Eldridge's Plum Chic fall makeup tutorial). But the real secret here is how between the color and the iron-like wear of this Vincent Longo mousse-like texture, I've been using Flamenco as a cream eye shadow. The whipped cream feel of the product is easy to apply and blend with a variety of brushes, natural or synthetic. It sets and dries quickly, and will not move until you use an oil-based (or a dual phase) cleanser. Two notes about using the cream all over the lid: I highly recommend using a primer that smooths skin texture (NARS works well for me, but more mature skin might do better with Guerlain). Also, apply lightly and blend with a fluffy brush. 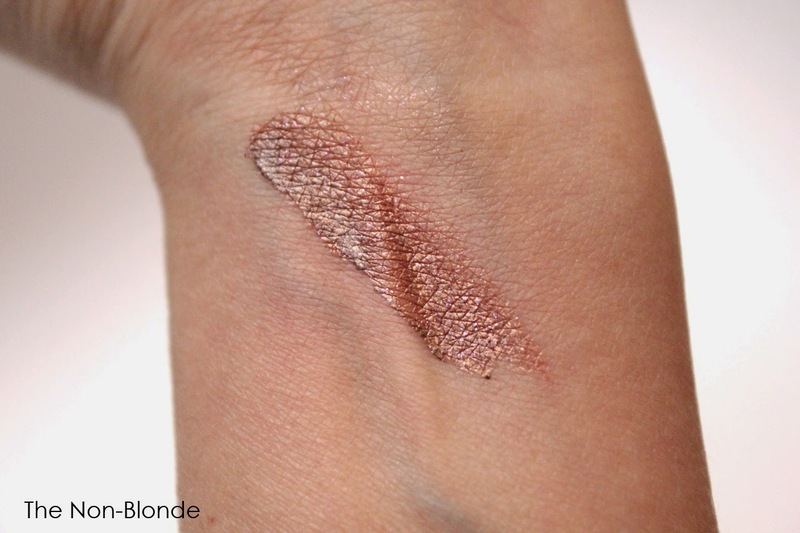 The swatch above was done on bare skin and used enough product for both eyes (and then some). It shows you the depth of the color but also just how textured it can make skin appears if not applied carefully. As long as you keep a smooth canvas and a light hand, though, the result is beautiful, waterproof, and utterly delightful. Bottom Line: There are five more colors in this range. Just Sayin'. Vincent Longo Flamenco Creme Gel Liner ($25) is available from beauty.com. The product for this review was sent for my consideration by the company's PR. * I know that the first question is how does Flamenco compares to Tom Ford Platinum, but since I never bought it (and have no intention to buy the re-release) I cannot answer this. If anyone has tried both products, please chime in. You are the woman, truly. I love cream eye shadow and am always looking out for something new to try. I would never have looked at this if not for you. Thanks for thinking outside the box. That's why I love your blog so much.